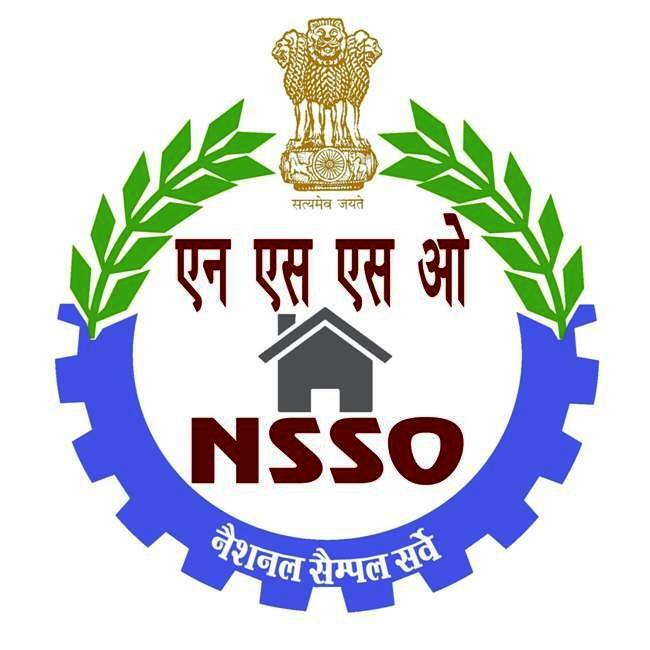 The National Sample Survey Office (NSSO), Ministry of Statistics and Programme Implementation released the report titled “Key Indicators of Unincorporated Non-Agricultural Enterprises (Excluding Construction) in India’ based on the information collected under 73rd round of its survey conducted during July, 2015 to June, 2016 as a follow-up survey of the 6th Economic Census. Similar survey on the same subject was earlier conducted by NSSO during July 2010- June 2011 as part of NSS 67th Round. 2. The survey was designed to generate various estimates on the operational and economic characteristics of the unincorporated non-agricultural enterprises in industry sectors of manufacturing, trading and other services (excluding construction) such as their type of ownership, type of enterprises, employment particulars, operating expenses & receipts, Gross Value Added, indebtedness, etc. The survey covered non-agricultural enterprises which are not incorporated (i.e. not registered under Companies Act, 1956). The categories of enterprises under the coverage of survey included, proprietary and partnership enterprises (excluding limited liability partnerships), Self Help Groups (SHGs), Non-Profit Institutions (NPIs) and Trusts etc. The domain of ‘unincorporated enterprises’ excluded (a) enterprises registered under Sections 2m(i) and 2m(ii) of the Factories Act, 1948 or bidi and cigar manufacturing enterprises registered under Bidi and Cigar Workers (Condition of Employment) Act, 1966, (b) government/public sector enterprises and (c) cooperatives. 3. The survey would provide much needed information to the planners and policy makers on the unincorporated non-agricultural sector for targeted planning and policy formulation. The survey would also generate estimates at a disaggregated activity category level as required by Central Statistics Office (CSO). 4. The survey covered the whole of the Indian Union. The results of the survey are based on the sample canvassed by NSSO, consisting of 8,484 villages and 7,839 urban blocks, spread over all States and Union Territories of the country. The total number of enterprises in which the Schedule was canvassed was 1,43,179 and 1,46,934 in rural and urban India respectively during the period July, 2015 –June, 2016.
i. During 2015-16, 6.34 crore unincorporated non-agricultural enterprises (excluding construction) were estimated at all India level. Out of the total estimated number of enterprises at all India level, 31% were engaged in manufacturing, 36.3% were in trading and 32.6% were in other services sector. The number of enterprises engaged in ‘non-captive electricity generation and transmission’ was negligibly low. ii. Out of the total number of unincorporated non-agricultural enterprises, about 51% were located in rural areas and 49% were located in urban areas. iii. Own Account Enterprises (OAEs) (i.e. enterprises that do not employ any hired worker on a fairly regular basis) has a dominant share (84.2 %) in the unincorporated non-agricultural enterprises under survey coverage. At all India level, the share of OAEs in all three broad activity categories namely ‘manufacturing’ (85.5%), ‘trade’ (84.5%) and ‘other services’ (82.5%). iv. Uttar Pradesh reported the highest share (14.20 %) in total number of unincorporated non-agricultural enterprises followed by West Bengal (13.99%), Tamil Nadu (7.80%), Maharashtra (7.54%) and Karnataka (6.05%). These five states accounted for nearly half of the total unincorporated non-agricultural enterprises in the country. i. The survey revealed that about 11.13 crore workers were engaged in unincorporated non-agricultural enterprises (excluding construction) in the country during 2015-16. Out of the total number of workers, 34.8% were engaged in trading, 32.8% were in other services and 32.4% were in manufacturing. ii. Among the total number of workers estimated, 55 % worked in urban areas and 45 % worked in rural areas. iii. OAEs accounted for 62 % of the workforce in unincorporated non-agricultural sector (excluding construction) in the country. iv. The top five States in terms of estimated number of workers namely, Uttar Pradesh (14.9 %) , West Bengal (12.2%), Tamil Nadu (8.7 %), Maharashtra (8.2 %) and Karnataka (6.4 %) accounted for nearly 50% of the total number of workers engaged in unincorporated non-agricultural sector (excluding construction) at all India level. i. Proprietary enterprises (i.e. enterprises wholly owned by a single individual) had the highest share (96%) in the unincorporated non-agricultural enterprises in the country. ii. Partnership enterprises had a share of 2 % and Self Help Groups (SHGs) accounted for 1.8 %. Trusts and ‘others’ had only a negligible presence of 0.1% each. iii. At all India level nearly one-fifth of the enterprises were female headed proprietary enterprises. i. At all India level, 98.3 % of enterprises were perennial in nature. Seasonal and casual enterprises had a share of 1.3 % and 0.4 % respectively. i. About 87 % of the unincorporated non-agricultural enterprises in the country during 2015-16 were reported to have operated out of a fixed location either within the household premises (about 44%) or outside the household premises (about 43 %). About 4.4 % were part of mobile markets and 9 % were street vendors. i. About 31 % of the unincorporated non-agricultural enterprises have registered under industry specific agencies/authorities related to their activities. ii. Share of registered enterprises were 41.4 % in urban areas and 20.9 % in rural areas. iii. Among the broad activity categories, other services sector had the highest share of enterprises with some kind of registration (39.3%) followed by Trading (36.9 %) and Manufacturing (15.1%). i. At all India level, about 1 % of the enterprise was reported to be Non-Profit Institutions with 0.1 % reported to have received their major receipts either from grants or donations. i. GVA has been calculated only for the enterprises engaged in Market Production (99.9 % of the enterprises under coverage were market producers.). ii. During 2015-16, the aggregate GVA by the unincorporated non-agricultural enterprises (excluding construction) engaged in market production was estimated as Rs. 11,52,338 crores. iii. At all India level, establishments (i.e., those units that employ at least one hired worker on a fairly regular basis) contributed about 56 % to the aggregate annual GVA. However, in rural areas OAEs had a higher share (61 %) in aggregate GVA. iv. Contribution by enterprises in urban areas (70%) to overall GVA was much higher than that of rural enterprises (30%). v. Maharashtra had the highest share (11.8%) in the aggregate annual GVA at all India level followed by Uttar Pradesh (11.0 %), Tamil Nadu (9.2 %), Karnataka (8.0 %) and West Bengal (7.4 %). These five States accounted for nearly half of the aggregate annual GVA by the unincorporated non-agricultural enterprises. i. At all India level, annual GVA per enterprise for the unincorporated non-agricultural enterprises was estimated at Rs. 1,81,908.
ii. For rural India, annual GVA per enterprise for OAEs and establishments were estimated as Rs. 71,217 and Rs. 4,78,319 respectively. The corresponding estimates for urban areas were Rs. 1,26,529 and Rs. 7,03,848 respectively. iii. GVA per enterprise for OAEs was Rs. 95,753 and that of establishments was Rs. 6,41,104 at all India level. iv. Enterprises in other services sector had the highest GVA per enterprise (Rs. 2,10,860) followed by enterprises in Trading (Rs. 1,94,877) and Manufacturing (Rs. 1,36,317). v. Among the major States, Delhi has reported the highest annual GVA per enterprise (Rs. 4,97,524) and West Bengal had the lowest GVA per enterprise (Rs. 96,686). vi. Annual GVA per enterprise for enterprises in rural areas was Rs. 1,06,136 and that of enterprises in urban areas was Rs. 2,61,554.
i. The annual GVA per worker for enterprises engaged in market production at all India level was estimated at Rs.1,03,744. The category ‘other services’ had the highest annual GVA per worker (Rs.1,19,947) followed by Trading (Rs.1,15,885) and Manufacturing (Rs.74,379). ii. OAEs had an annual GVA per worker of Rs.73,951 at all India level whereas, establishments had an annual GVA per worker of Rs.1,52,723. iii. Annual GVA per worker for enterprises in rural areas was Rs. 69,198 and that of enterprises in urban areas was Rs.1,31,811. iv. Among the major States, Delhi had the highest GVA per Worker (Rs.2,02,616) and Odisha had the lowest GVA per worker (Rs.60,933). i. The average annual emoluments per hired worker was estimated at Rs.87,544. ii. The average emoluments per hired worker was highest for enterprises in ‘other services’ (Rs.1,01,094) followed by trade (Rs.80,267) and manufacturing (Rs.75,595). iii. Among the major states, Kerala (Rs.1,25,616) and Assam (Rs.53,726) respectively reported the highest and lowest value of average annual emoluments per hired worker. i. This includes those produced assets, that had a normal economic life of more than one year, held for the purpose of producing or providing goods or services. ii. At all India level, the market value of owned fixed assets per enterprise was estimated at Rs.2,31,869. iii. Broad activity category, ‘other services’ reported the highest value of owned fixed assets per enterprise (Rs.3,28,060) followed by trading (Rs.2,03,860) and manufacturing (Rs.1,63,499). iv. Market value of owned fixed assets per enterprise in urban areas was about 3 times the corresponding value in rural areas. v. Per enterprise value of owned fixed assets for establishments was about 7 times than that of OAEs. The publication containing more details on above cited Key Indicator is available on the website (www.mospi.gov.in ) of the Ministry of Statistics and Programme Implementation. “Statistics Day” in the category of Special Days is celebrated every year at the National level. The objective of celebration of this Day is to create public awareness about the importance of statistics in socio-economic planning and policy formulation, to acknowledge the contribution of Prof. Mahalanobis and to pay homage to him. Every year, one particular theme of current national importance is selected for focused discussions and efforts made throughout the year aimed at bringing about improvements in the selected area. ‘Administrative Statistics’ is this year’s theme for the Statistics Day. Administrative Statistical system needs to be further strengthened as it is both cost and time effective, reduces the dependence on censuses and sample surveys. Administrative data are available at all the levels of Government, i.e., the Centre, the States and Local Bodies. Proper compilation of these data at different levels can lead to regular flow of data through monthly and short term information, thus strengthening good governance. Therefore, the selected theme is of great importance. It will remain a focus area for Ministry of Statistics and Programme Implementation and States’ Directorates of Economics and Statistics for this year. The Indian Statistical Institute (ISI) was set up by Prof. Mahalanobis in 1931 in Kolkata. The Institute was declared an “Institute of National Importance” and made an autonomous body of Ministry of Statistics & Programme Implementation, through an act of Parliament in 1959. ISI celebrates 29th June as the “Workers Day”. This year, Ministry of Statistics & Programme Implementation and ISI had a joint event on 29th June in Kolkata to celebrate the birth anniversary of Prof. Mahalanobis. President of India, Shri Pranab Mukherjee, graced the occasion as the Chief Guest. Among the dignitaries who participated in the event included Shri Keshari NathTripathi, Governor of West Bengal, Shri D.V. Sadananda Gowda, Hon’ble Union Minister of Statisitcs & Programme Implementation, Dr. R B Barman, Chairman, National Statistical Commission (NSC),Dr. Vijay Kelkar, President, ISI, Prof. Govardhan Mehta, Chairman, ISI Council and Dr. TCA Anant, Chief Statistician of India and Secretary, Ministry of Statistics and Programme Implementation, Professor K.VijayRaghavan, FRS and Professor M.S. Raghunathan, FRS and Professor Sanghamitra Bandyopadhyay, Director, ISI. 29th June, 2017 marks the beginning of the 125th year of birth of Prof. P.C. Mahalanobis. ISI is having year-round celebrations which will culminate in a function to be held on 29th June, 2018 on the 125th birth anniversary of Prof. P.C. Mahalanobis. On the occasion of 11th Statistics Day, the Minister of Statistics and Programme Implementation, Shri D.V.Sadananda Gowda, inaugurated a exhibition on Prof. P.C. Mahalanobis in Mahalanobis Bhawan, Baranagar, Kolkata. A Brochure on 11th Statistics Day and Key Indicators of Unincorporated Non-agricultural Enterprises (excluding construction) in India were released by Chairman, NSC; Secretary (S&PI) and Director, ISI.